1. Easy to setup. 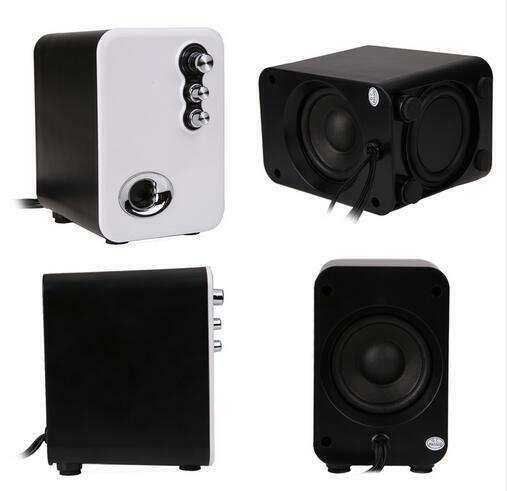 3.5mm stereo audio input interface,simply to be connected with computer, digital music player, mobile phone and other audio equipment. 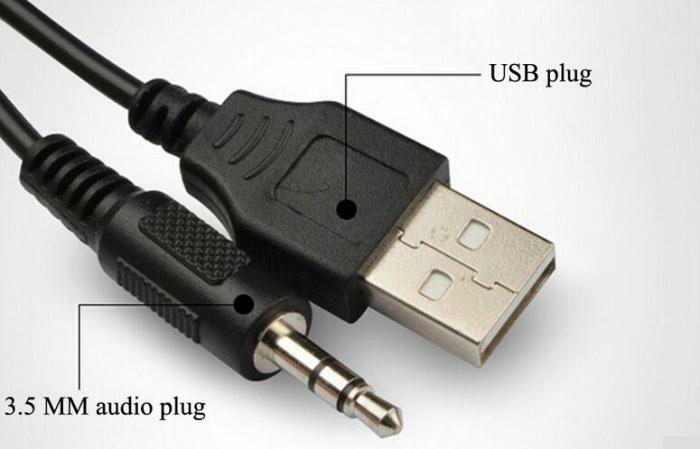 Just need plug in the USB for power and audio for sound, and you're good to go. 2. Small & Powerful. 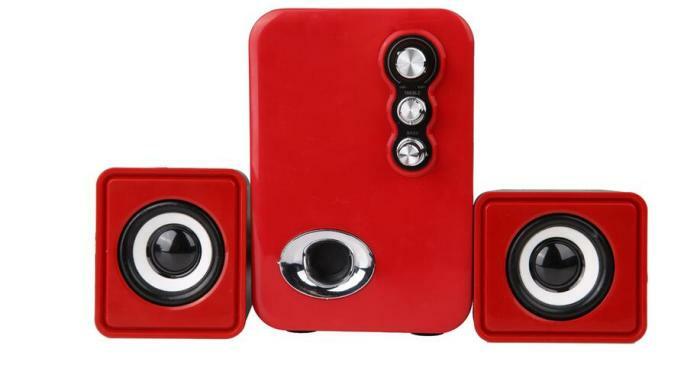 Mini PC speakers come with compact body,does not take up much space, can fit perfect on desk, designed as computer desktop speaker. 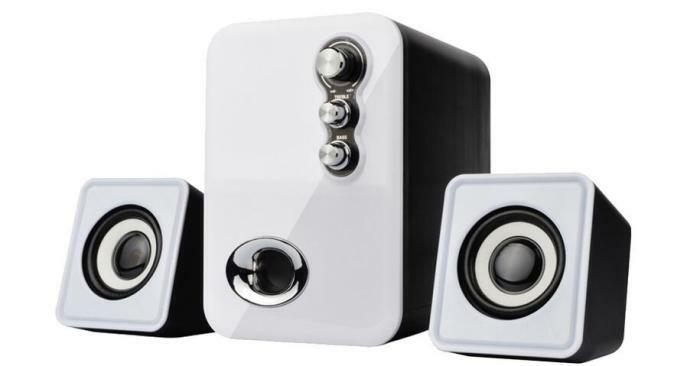 Equiped with 6W speakers, deliver clear and powerful stereo sound. It's time to quit straining to hear your laptop's tiny speakers. 3. The Line volume control humanization design allows you to adjust volume easily. When your laptop has gone into sleep mode, you can still adjust the volume without waiting for it to wake up. 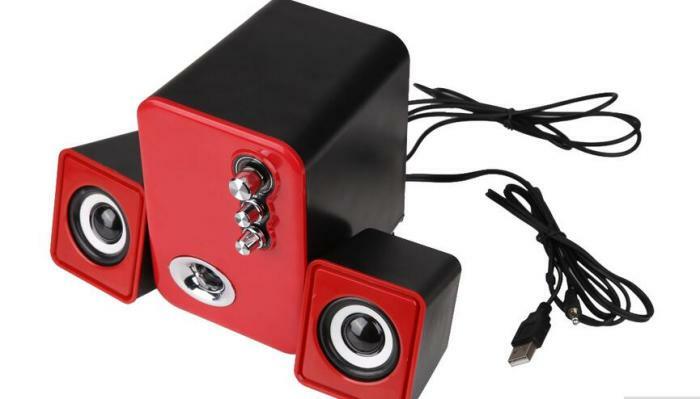 A thoughtful convenient laptop PC speaker. 4. 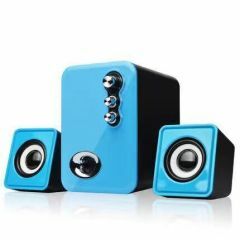 Compatible with any audio output devices with 3.5mm jack such as Desktop, PC, Notebook, Mobile phone, Tablet, MP3/MP4 etc. A wise choice to enjoy it at home or office, listen to everything from movies, music, audio books, and various other things from YouTube to FB.